There’s no better time than the present to start getting your finances in order. Making the right choices all at once is impossible for most people. That’s why it’s helpful to start with habits that you can choose one at a time, and develop over the course of the year. As you add more and more, you’ll be on the path to developing a great financial plan for retirement. 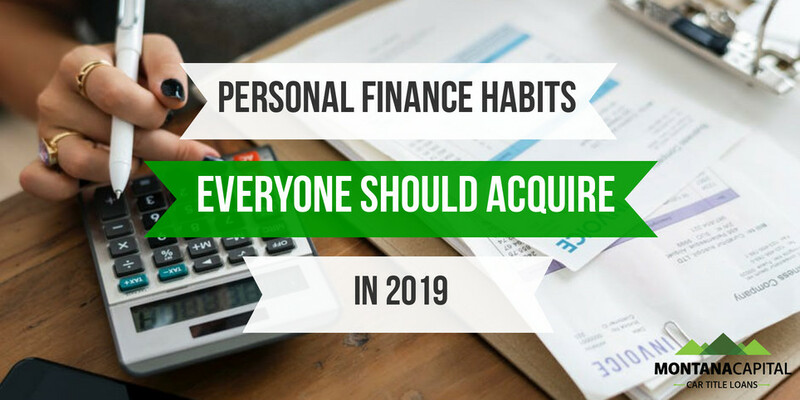 What follows are some of the most important personal finance habits that you should be developing in the year 2019. There are risks that everyone faces now that weren’t such a problem in the past. One of those risks is the risk of identity theft. Any account from debit to credit to long-term savings can be at risk of an attack. Many workplaces offer matching funds for retirement plans as a perk of employment. If you’re not taking advantage of these plans, you’re just leaving money on the table. Starting this year, make it your goal to research the retirement plans that are available at your work, and to find out how to max out the contributions to any that offer matching funds. It takes a lot of willpower to put aside savings every month. Just setting the habit takes months and months of repetition. However, there is one habit that will save you all the habit building—automating your payments to your savings accounts. Once you have automated payments, you won’t have to make a conscious choice to save, you’ll just need to adapt to the fact that the money has moved to a different account. With most financial institutions, you can easily automate payments from the online dashboard. Sometimes, your budget for spending money is more than you really need. Maybe you’re too tired to go out one weekend, or you’re in the mood for a quiet night at home instead of a night on the town. When this happens, you can either carry the money over to your next month’s spending…or relieve some stress by making extra payments. Making extra payments on your debts can be a great feeling—a much better feeling than going out and spending a lot of money when you’re just not in the mood. It can also speed up the repayment of those debts and reduce the total amount of interest you owe. Not every financial disaster is a result of poor planning. Sometimes, disasters simply happen, and the only way for you to meet your goals is to have insurance that covers it. Car insurance, home insurance, and health insurance make it possible for you to protect yourself financially, and that’s why you need to check regularly to make sure they are sufficient. Make a plan to check your policies at least once a year. Make sure that you’re covered in the case of emergencies that might happen to you, and that the amount of coverage will allow you to cover your expenses. This is also a good opportunity to check if a different insurance company is able to offer you the same coverage for less money. What’s better than tips about finance? The deeper understanding that comes with in-depth reading. Every year, brand new books are published about the state of the markets, the most effective savings plans and the types of investment plans that are the best foundation for a future. Make sure that you’re improving yourself and your knowledge by reading at least one top book about personal finance a year. To find the right one for you, consult friends who are good with finance, or check the top seller lists for personal finance. With these tips in mind, you can now start building a more secure financial future for yourself. Just remember to monitor your accounts and their balances, create goals you can meet for your savings plans and to learn as much about finances as you can to protect your future.